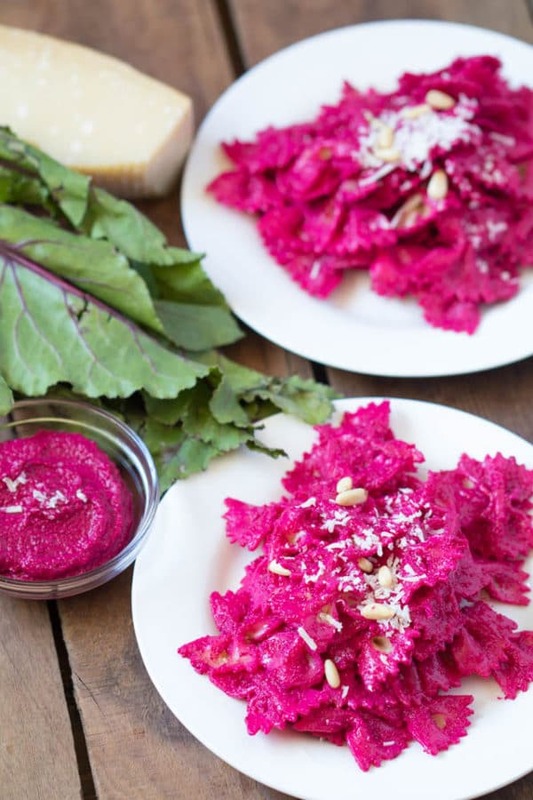 Beet Pesto Pasta - The perfect addition to your summer gatherings! You can’t BEAT this Beet Pesto Pasta! Perfect for Memorial Day weekend or any summer gathering! Beets are always so messy but I love cooking with them because they have such a pretty color and they are too healthy to ignore. With beets containing antioxidants and phytochemicals… and aiding in supporting liver health and lowering blood pressure these messy root vegetables are a-maz-ing. I made this recipe back in June of 2015 and wanted to retake the pictures and update the recipe a little – I had forgotten how tasty this recipe is! Vibrant and full of nutrients! Bring a pot of water to a rolling boil and place the cleaned beets in for 30-40 minutes, or until soft. Fork should easily poke through the beets. While the beets are cooking, bring another pot of water to boil to cook the bow ties. Once cooked, drained beets and peel the skin off. Chop the beets and place into a food processor. Add in all of the ingredients, except the parm, and blend until smooth. Add more olive oil if needed. 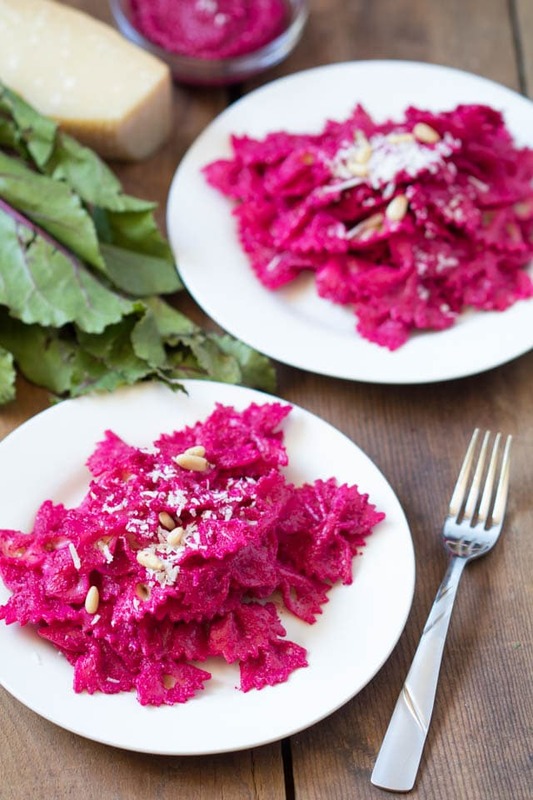 Once bow ties are cooked, mix the beet pesto in with the drained noodles. Add the parm and serve immediately. You will have extra pesto. Save for up to 5 days. 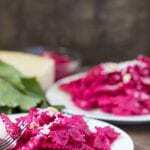 Not only are beets delicious, but that COLOR!! They can just about turn any dish into a beautiful piece of art 🙂 This sounds so delicious! Love beets and love that natural color! This is so colorful and awesome looking!! I love beets. I’ve never tried making a pasta sauce out of them, yet! What a beautiful colour! I love the idea and have some beets in the fridge at the moment – I think I’d be afraid to eat it without an apron on though! No basil in your pesto? Nope – no basil in this pesto! 😉 Hope you enjoy! !